I am going to take a second here and admit that I was hesitant to read these because I normally don’t chose werewolf fiction. I’m more “kissy-bitey” than I am “kissy-growly.” However, I’ve been looking at these books in the store for months and finally, on the recommendation of a friend, I bought them. These books are, in a word, excellent. While described by some as Twilight with Werewolves, I didn’t think of it that way. It’s written for teenagers, sure, and it does delve into typical teenage angst, but the concept is new and different, and that is something sorely missing in YA/teen fiction these days. Grace was attacked by wolves when she was a little girl. She remembered vividly the feel of the blood and the teeth, and the one wolf that watched from a distance, his yellow eyes troubled. Every year, she waited for her wolf to appear in the woods behind her house in winter time, and every year he came, yellow eyes searching for her. When she and her friends meet a boy with familiar yellow eyes, her world turns inside out. Shiver, the first book in this trilogy, introduces us to Grace and Sam, the yellow-eyed werewolf. Grace is level-headed and serious, and has been basically taking care of herself for most of her life. When Sam introduces her to his world, all she can do is think about his last summer, and how the day is coming when he will shiver into wolf form and forget all about her. The descriptions of the transitions are painful at times, but so realistic that it left me feeling as though werewolves could be real. As a dog lover myself, I could tell that the author has and understands dogs and pack mentality, because the behavior of the wolves with each other and with humans seemed very believable to me. The characters were fully formed and I found myself really caring about them. 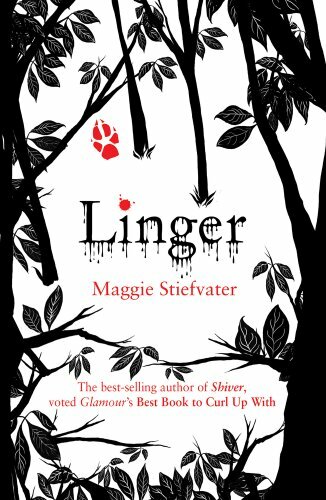 There really is no way for me to talk about Linger, the second book in the trilogy, without spoilers, so I’ll just say that I was not as happy with it as I was with Shiver. 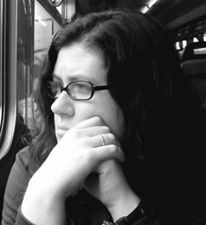 But the thing that made me unhappy was not the writing or the flow, but the actual plot. Ms. Stiefvater tells a very good, very complex story, and it seemed to me at a few points in Linger that she was rushing to tie up that chapter so that the book didn’t get too long. I’m now anxiously awaiting the next installment, something I thought I’d never do with a werewolf book. This book does an excellent job of touching on subjects that are very real and very important to teenagers, while delving into aspects of adult life as well. It truly has something for everyone and is not to be missed or overlooked in favor of more fangy reads. Team Jacob? This is your book.